It is better to purchase a plan from a US based provider as these policies are widely accepted by American doctors and hospitals. 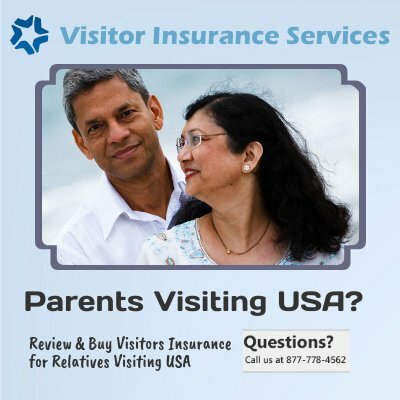 The Atlas America Insurance and Patriot Platinum America Insurance are the top choices when one wants top rated comprehensive coverage for visitors such as relatives or parents visiting USA. Other compelling options include Patriot America Plus Insurance, Liaison Travel Choice Insurance, Diplomat America Insurance, Visit USA Insurance, Liaison Travel Elite Insurance. Among fixed coverage benefit policies, Inbound USA Insurance, Visitors Care Insurance, Visitor Secure Insurance all offer lower cost visitor insurance plans. Do your parents need life insurance policies?